At Punta Mona we grow over 150 medicinal plants and our rainforest is filled with wild medicinal mushrooms such as Turkey Tail, Reishi, and Artist Conk. Nature gives us an abundance of medicine that our resident herbalists regularly harvest and process, making tinctures, teas, tonics, salves and infusions to keep our community healthy and happy. When you are here, one of our herbal witches can give you a tour of our fully-stocked apothecary, our alchemy lab, and our jungle gardens - and of course will be happy to care for you should you need any natural remedies during your stay. You’ll be in the best hands! If you are intrigued by herbalism and want to go deeper, we offer courses and workshops here on the farm, whether it’s your first introduction to natural medicine or you’re a seasoned plant witch. If you’d like to join us for a personalized herbal workshop, please add the course when you reserve your overnight stay at Punta Mona. See what we’re up to on the farm! This tour will give you an overview of herbal medicine at Punta Mona, and we’ll show you the entire process of medicine-making from harvest to treatment. We’ll start in the garden to talk about all the abundant medicinal plants we have growing, like Gotu Kola, Blue Vervain, Patchouli, Turmeric, Moringa, Tulsi, and Ylang Ylang to name a few. Then we’ll head to our brand new Alchemy Lab, where we process and produce our own jungle medicines. We’ll end the tour in our apothecary, where you’ll see what we keep stocked for everyday use on the farm and get some tips on how you can begin incorporating herbalism in your life at home. Join one of our herbalists for a walk through our medicinal herb garden to learn about the healing power of plants and harvest herbs for a special brew of tea! We will customize the tea blend together based on your particular interest or need. We have herbs for anxiety, insomnia, detox, energy, mood, pain…pretty much anything that your physical and emotional body may be experiencing. We’ll harvest as we go and end in our Alchemy Lab to brew the tea. Take the pot with you and find a quiet spot overlooking the Caribbean to enjoy your cup of freshly-brewed herbal tea. Experience a day in the life of an herbalist! This hands-on workshop will give you a thorough introduction to herbalism, and you’ll get to make your own tincture using organic natural ingredients grown on the farm. We’ll cover herbalism 101 while walking through our herb garden, stopping at specific plants to discuss their medicinal properties and applications. We’ll harvest as we go and then head to our Alchemy Lab where we’ll show you how to process these herbs into infusions, decoctions and tinctures. You’ll learn practical applications and techniques so that you can continue your herbalism journey at home! The Punta Mona apothecary is filled to the brim with natural medicines for every jungle ailment! 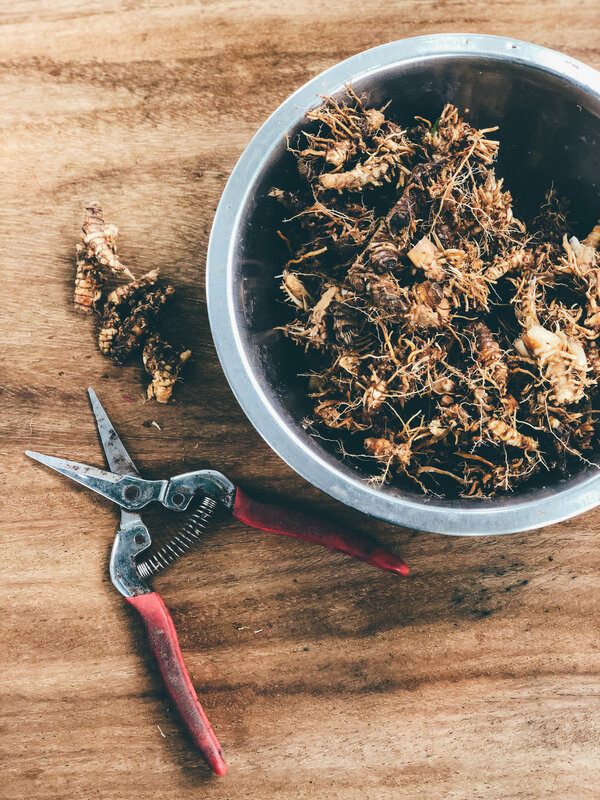 We guarantee, there’s an herb for that :) We make all of our tinctures, salves, and infusions onsite in our Alchemy Lab from herbs, roots and medicinal plants we grow on the farm. 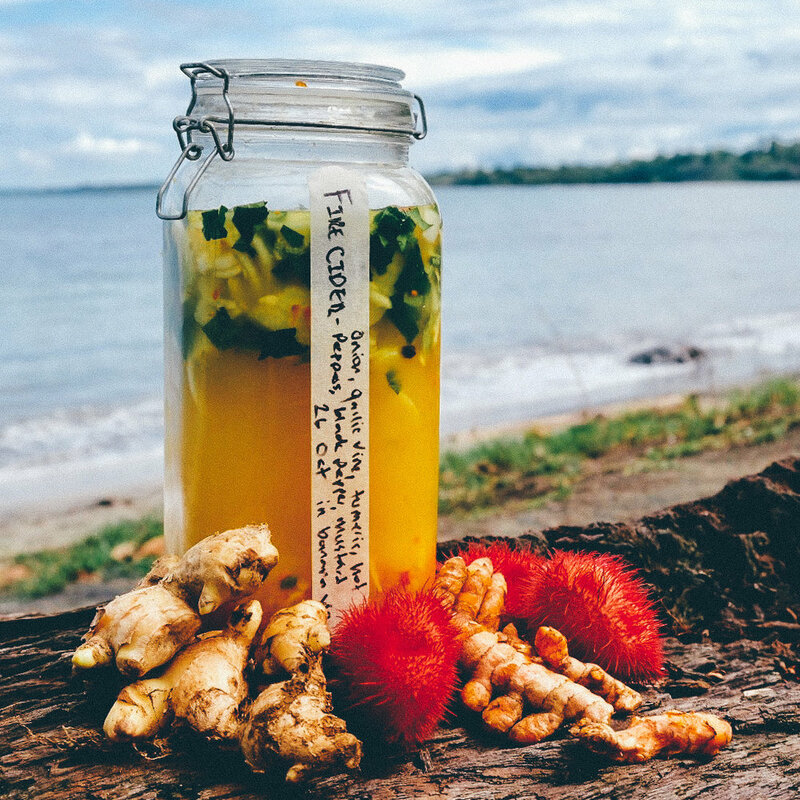 We also have some Punta Mona Medicinals and infusions for sale in our little Apothecary shop should you want to take some of the jungle magic home with you for your continued healing. 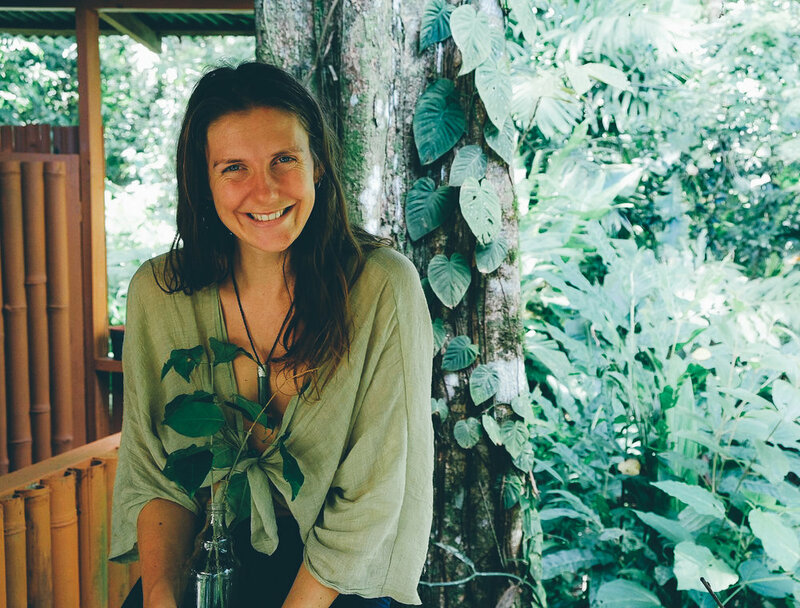 Souzie is an experienced herbalist from New Zealand and has been living full-time at Punta Mona caring for our beautiful humans since April 2018. She started her career as a nurse working in the conventional medical system flooded with pharmaceuticals and began to wonder what alternative remedies were available to treat patients. She volunteered to care for festival goers at the herbal clinic at Cosmic Convergence in Guatemala and the Village Witches herbal clinic at Envision, where she met our Punta Mona witches Lala and Sarah. Souzie built our alchemy lab and leads everyday herbalism here on the farm. Sarah Wu is the current Director and Educational Curator, leading trainings and workshops in herbal medicine, permaculture design, tropical Deep Ecology, field-to-the-plate holistic nutrition and women’s retreats. She is a clinical herbalist of 17 years, practicing planetary eclectic herbalism with a foundation in Traditional Chinese Medicine and Wise Woman Reclaiming philosophy, focusing on food-based healing and local ethnobotanical traditions. She is a passionate mentor and educator. Sarah is the co-founder of Medicines from the Edge: a Tropical Herbal Convergence and co-producer of Envision Festival.